Explanation: Today humanity will make its first attempt to land a probe on the nucleus of a comet. As the day progresses, the Philae (fee-LAY) lander will separate from the Rosetta spacecraft and head down to the surface of Comet 67P/Churyumov–Gerasimenko. Since the texture of the comet's surface is unknown and its surface gravity is surely low, Philae will then attempt to harpoon itself down, something that has never been done before. 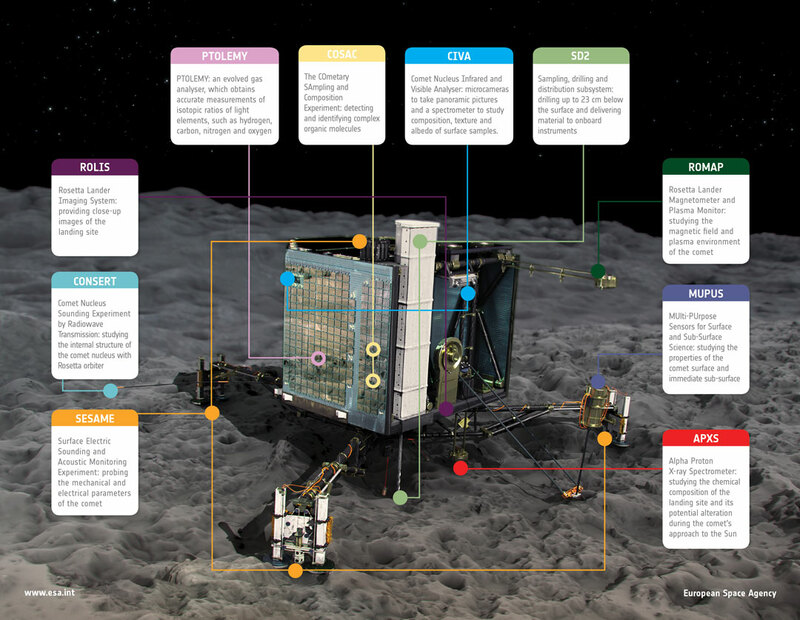 Featured here is an artist's illustration of dishwasher-sized Philae as it might look on Comet Churyumov–Gerasimenko's surface, along with explanation balloons detailing onboard scientific instruments. Many people on a blue planet across the Solar System will be eagerly awaiting news and updates. 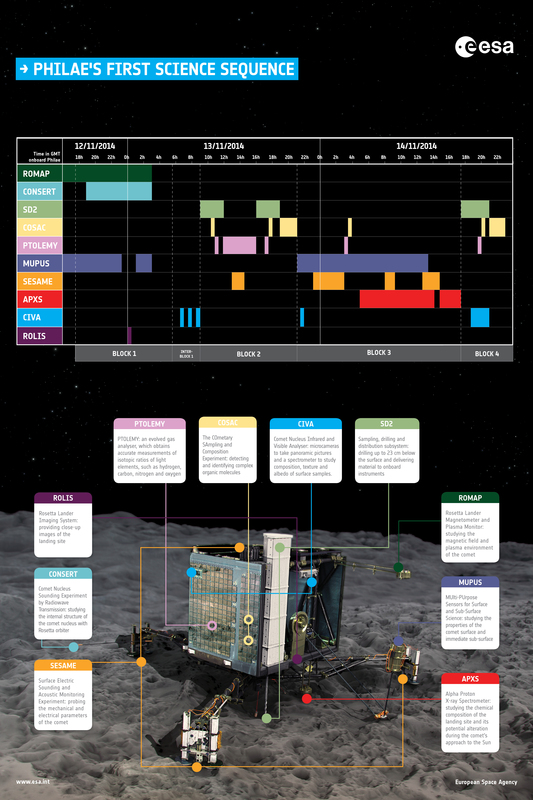 Whether Philae actually lands, whether it lands on a smooth patch, whether the harpoons take hold, and how far the robotic lander sinks into the surface should all become known as events unfold today.